Naturally, a panic ensued while I tried to work out how to synchronise filesystems between OS X and the VirtualBox Ubuntu installation so I didn't have to drown in brown every time I looked at Ubuntu. 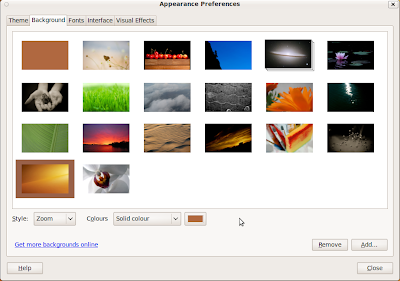 Here's the default appearance on 9.04 and then 9.10. It's not a quantum leap, but it feels like the lights have been turned on. The new default background is an organic version of the previous one - warmed up and subtly intriguing. 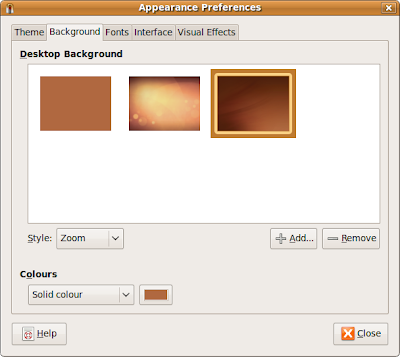 The icons have been smartened up, the window title bar is darker yet somehow less intrusive, the 'panel' icons (top-right) are monochrome, and generally colour is being used more where it means something and less where it only adds visual noise. I feel that we've managed to move things forward. 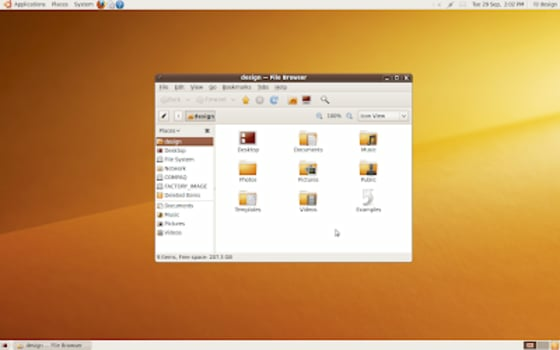 There is a lot of work to do on a million other aspects of Ubuntu so I hope people won't get fixated on things like the default desktop too much - these are matters of taste and there are no correct answers - you have to trust that we have a long-term vision and that decisions are made to move things in a certain direction. We don't think you'll be disappointed when things really start to come through over the next few releases.